Catch us offsite at the Stephen Foster Community Center, where Karen's Book Row is hosting the FIFTH Annual Holiday Book Sale. "It features Steel City’s favorite indie book vendors (including US! ), and is a great way for holiday shoppers to browse a wide variety of books from Pittsburgh’s knowledgeable literary curators. Both new and gently used, indie bestsellers and one of a kind finds, titles by local authors and books on spectacular sale. Fiction, poetry, mysteries, creative nonfiction, art books, children’s books, graphic novels, and much more. 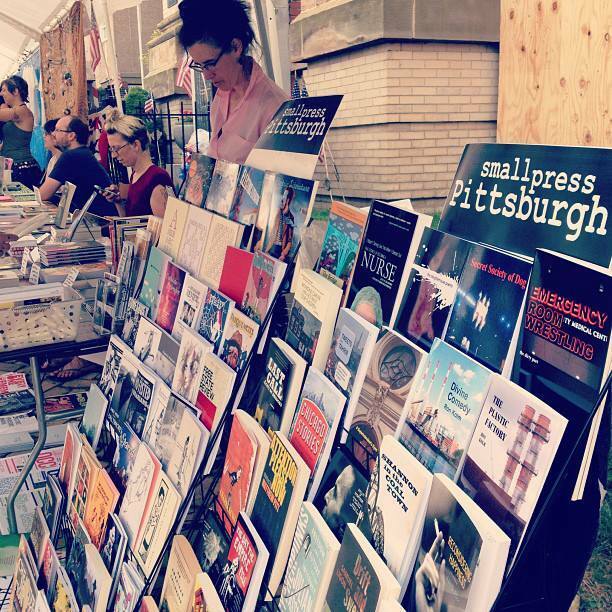 This event is also a great way to showcase and celebrate the best of Pittsburgh’s own literary indies: Indie bookstores, indie publishers, and small press authors." Check out the event's Facebook page for more info: click!